The idea that the rock ‘n’ roll business is dominated by sweaty men is set to be turned on its head with new research showing that 50 per cent of all new electric guitar sales are to women. The study, by legendary ‘axe’ maker Fender, shows that the next set of big rock acts are definitely going to be coming from the girls, something that’s being dubbed the “Taylor Swift effect”. 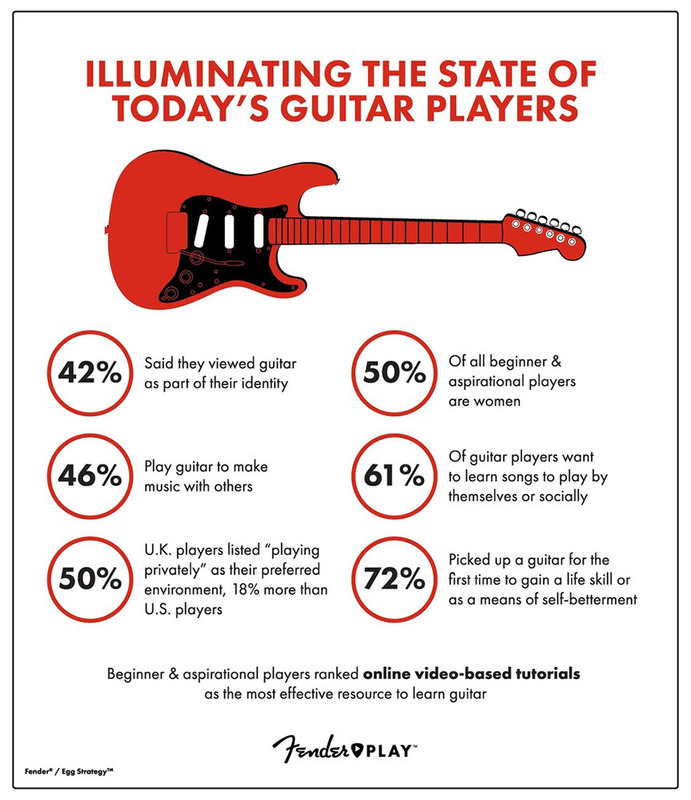 Surveying a number of guitar players cross the US and UK, the Fender study also revealed that while 72 per cent of musicians pick up the instrument “to gain a life skill or as a means of self-betterment”, 46 per cent turned to guitar with the intention of playing music with others in a band. Commenting on the findings, Fender CEO, Andy Mooney, said: “Today’s players have grown up in a different cultural context and popular music landscape, and rising artists like Mura Masa, Tash Sultana, Youngr, Daniel Caesar, Grimes and Ed Sheeran are changing the way guitar is being used,” explained Fender CEO, Andy Mooney.